When describing the unique vocalist and arranger Paul Jost, two words come to mind … “passionate storyteller”. Paul is a multi-instrumentalist, composer and arranger but it is his work as a vocalist that makes him a standout. 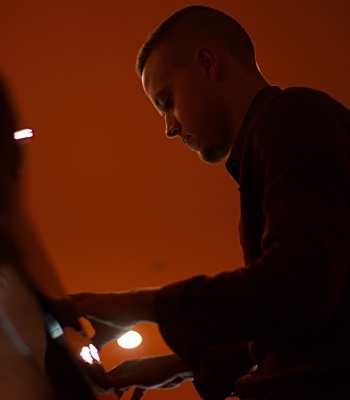 Both critics and contemporaries alike say he is one of the best male jazz vocalists since Mark Murphy. Paul has performed worldwide with recent tours in Asia and Europe. Back home in the U.S, Paul is making his mark in New York with an ongoing residency at the internationally acclaimed jazz club 55 Bar, a two-month stint in 2017 at SMOKE performing with Orrin Evans, guest appearances with vibraphonist Joe Locke at Dizzy's Coca Cola Club at the Lincoln Center in April 2018 and performances at such popular clubs as Mezzrow, Jazz at Kitano’s and more. 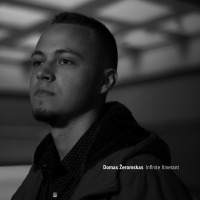 He can be seen regularly on Festival stages including recent performances at Xerox Rochester International Jazz Festival and Exit Zero Jazz Festival. After a long career as an instrumentalist and sideman having recorded and performed with Billy Eckstine, Mark Murphy, Dr. John, Bucky Pizzarelli, Joe Farrell, Ron Carter, Ann Hampton Calloway, Sylvia Sims and George Mesterhazy to name just a few, Paul launched his solo vocal career in 2014 with the release of his debut vocal album “Breaking Through”. 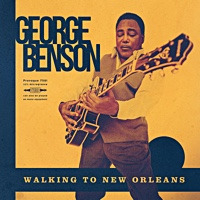 Included in that album is “Book Faded Brown,” a composition he wrote that was recorded by The Band, Rick Danko and Carl Perkins. In 2015, in honor of the 40th Anniversary of Bruce Springsteen’s “Born to Run”, Paul was commissioned by Michael Kline of Exit Zero Jazz Festival to interpret this iconic album in Jazz and headline at the festival. This performance was so well received that in 2016 he recorded it live at The Bitter End in New York. With his reputation as a vocalist growing, Paul was recently showcased on PBS-TV in a profile feature in the Friday Arts series titled “Finding Your Voice”. Paul's follow-up release to “Breaking Through” titled “Simple Life” features his quartet Jim Ridl-piano, Dean Johnson-bass and Tim Horner-drums. Joe Locke is the special guest on a number of tracks. Paul is involved in many other music collaborations in both recordings and performances. Paul can be heard on SiriusXM Radio along with the band, TJP, whose newest CD is “Peace and Love” with bandmates Tony Miceli-vibes and Kevin MacConnell-bass. Doug Hirlinger plays drums and the album features special guest saxophonist Joel Frahm. 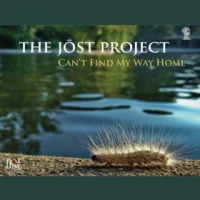 The band’s first CD is “Can’t Find My Way Home” (Dot Time Records) with Charlie Patierno-drums. TJP was named “Best of Jazz” in Philadelphia in 2017. Other recordings collaborations include such artists as Phyllis Chapell - Naked World (Illumination Records) and David Bennett Thomas - Deep, Deep Love (Vectordisc Records). 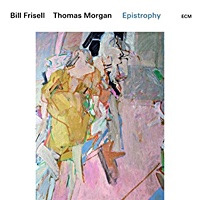 He had three separate recordings in late 2015 and early 2016 for these artists  pianist/composer Jim Ridl, guitarist/composer Tom Giacobetti, and he sings on a bonus track of “The Applejacks”, the music of trombonist/composer Dave Appell. In the past few years, Paul has recorded three separate duo projects: one with bassist Tim Lekan – Side by Side (Independent); a second with flutist Mark Adler, Silver Whispers (Arabesque); and a third (soon to be released), Where We Meet with pianist, Frank Strauss. Paul is both singer and arranger in Antfarm Quartet featuring pianist Jim Ridl, Tim Lekan and drummer Bob Shomo. Their released CD’s include Antfarm Quartet – Dialogues Pt. 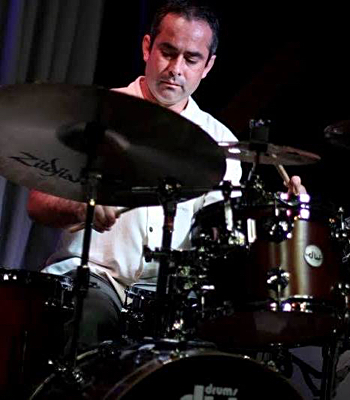 2 and Live @ The Colony Theater (Dreambox Media); Andy Lalasis – Fret Not (Independent), Carolyn Nelson - Come a Little Closer (Independent), Susan Goodman - Live Out Loud, and as drummer on Susan Goodman's - Central Park West (Soozaroo Music). In addition, Paul sings with violinist Diane Monroe's sextet, “What is This Thing Called Freedom”. Paul is a prolific composer, writing over 40 CD’s for major music libraries and his music is heard daily in over 750 markets throughout the United States. He has composed for Canon Pictures and NBC-TV's Emmy Award-winning series “Special Treat”. He is also a four category Billboard Song Contest Winner. Throughout Paul’s career, his vocals, drumming or harmonica have been heard on national jingles for major companies such as Johnson & Johnson, American Airlines, Nissan, Anheuser Busch, Miller Beer, Subway and Dow Chemical. Paul was selected by Rowan University as their featured artist in a televised half hour program which showcased four of Paul’s songs and interviews. This particular episode went on to win the CAPE Award, (Cable Award for Programming Excellence). In addition, Paul played drums in the Off- Broadway production of Andy Warhol's “Man on The Moon” featuring John Phillips (Mamas and the Papas). Born and raised in Southern New Jersey, Paul still resides in the area. He served as musical director at the Golden Nugget in Atlantic City and also as music director for singer Morgana King. He is honored as well to have worked in collaboration with songwriter/producer Jim Tullio throughout his career. When looking back at his childhood, he says, “Music spoke to my heart the instant I was exposed to it, and each experience adds to a dialogue that becomes more beautiful and more meaningful in my life.” He learned to play piano at age six and quickly turned his talent to the drums. 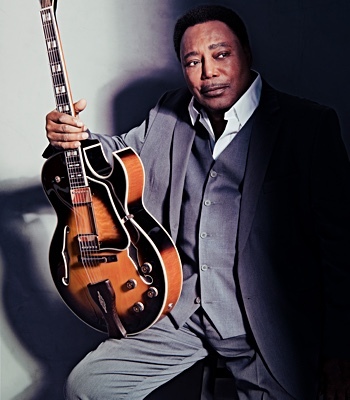 When he was 12, he started playing professionally, earning respect in the music community. After graduating Vineland High School where he was voted “best musician”, he studied at the famed Berklee College of Music in Boston. He has performed all over the country, living for a while in New York and Chicago, but chose to make his home in New Jersey where he lives with his wife, Valerie. They are the proud parents of Juliana Jost, a high school art teacher and mother to their granddaughter, Olivia Grace, and Daniel Jost, a highly respected musician/vocalist. Daniel and his wife, Gina, a singer, dancer and make up artist, have given them a grandson, Wesley Daniel. •	A creative force that deserves to be added to the list of great male jazz vocalists of all time. 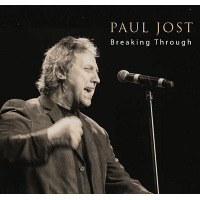 With “Breaking Through”, Paul Jost has shown that he is a force to be reckoned with and an artist that deserves to be seen on all great festival stages worldwide. 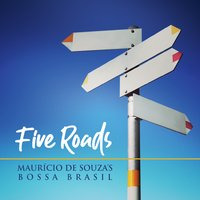 This album is one of the best jazz CD’s I’ve had the pleasure of listening to so far this year, highly recommended. •	Paul Jost is a vocal monster! •	Paul Jost is the very essence of Vocal Jazz today. Breaking Through is an album filled with beauty and perfection. There are no lies in his soul, no half-kept promises, no Sunday mornings without a warm cup of tea. 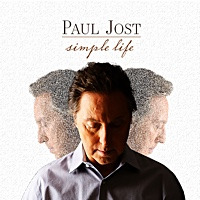 •	Paul Jost is incredible – an amazing singer! •	Paul Jost is fantastic and I loved every magical moment of the show. Truly. That band was spectacular. •	Paul is magic. Paul and the band killed it! … Everyone was so focused and I never heard it so quiet before. •	If the measure of a jazz singer is the ability to use his vocal instrument the way a saxophonist or a trumpeter uses his instrument, Jost belongs at the head of the class. •	The adventurous Paul Jost … .There is no project he wouldn't undertake and he does it quite well and intriguing, too. Paul has never taken the pedestrian approach to his singing. 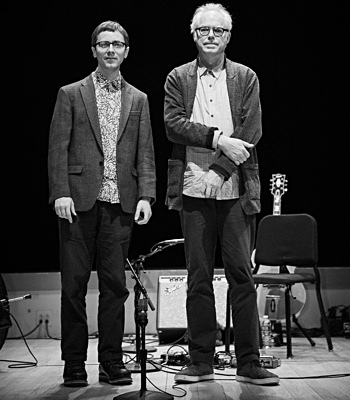 •	Jost has the ability to dig out the roots of each tune and plant them in our path, impossible to sidestep. There is not a word that does not sound real or felt, even in standards which we’re in danger of not really hearing. Jost distinguishes himself as an American original. All About Jazz musician pages are maintained by musicians, publicists and trusted members like you. Interested? Tell us why you would like to improve the Paul Jost musician page.